We’ve had the House of Lords inflicting yet more defeats on the Government’s EU Withdrawal Bill; there’s been all the relentless drama about staying in the Customs Union, or over the Byzantine and unworkable Customs Partnership, or problems with the Irish border being elevated to Biblical significance (despite workable technological solutions); and there have been questions raised over our new immigration policy or the seeming messiness of the withdrawal negotiations. So we Brexiteers could be forgiven for sinking into what I call ‘Brexit Blues’ – even questioning whether Brexit will ever be delivered at all and resorting to dangerous talk of ‘if’ not ‘when’. OK, call me an optimistic person: I was involved in the Northern Ireland Peace Process and believed we could do that – even when I heard the Canary Wharf bomb go off as I celebrated my new Special Adviser role. I predicted too (on Bloomberg TV) that David Cameron would win the election in 2015 (as very similar to 1992) when so many thought it would be lost. I believed we could and would win the EU referendum if we played it right, when others thought it impossible. I even thought Trump might win. So what I would ask of you is this: please don’t be disheartened and don’t ever say Brexit will not happen. Ban any defeatist talk of ‘if’ not ‘when’. Tell the world with resolve that, whatever it takes, we will deliver Brexit. 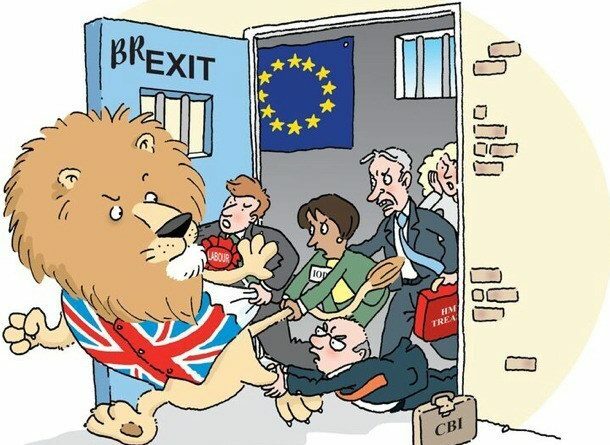 We haven’t come all this way, come so close, achieved so much against what we now see to be a shamelessly rotten establishment rife with fifth columnists intent on leaving the gates open for an advancing EU superstate. So let’s try looking at the bright side. This was the gist of a speech I made at my ECR Information Reception in Westminster last week with men of the moment, Lord Callanan the Brexit Minister in the thick of the legislation in the Lords, and Jacob Rees-Mogg, Chairman of the European Research Group, speaking alongside me. This is information I have gleaned from the ‘other side’ as an MEP in the midst of all of this. First, the negotiations are actually going far better than everyone thinks. Even the European Parliament’s own federalist negotiator, Guy Verhofstadt, has said that ‘80% of the deal is done’. Whilst there is a lot of heat about the Customs Union in the UK, the EU (to be fair) is quietly content to pursue a free trade agreement with us. Not only that, they are already offering us what some call a ‘CETA++’ deal based on the Canadian trade deal CETA or what I term ‘SuperCanada’. Take it from someone who has spent nine years on the European Parliament’s Trade Committee, this is not insignificant. They are offering us the biggest, deepest, best deal they’ve ever done. The first ‘+’ to CETA is that they are proposing a 100% tariff- and 100% quota-free deal with the UK. Before saying this is insignificant, ask the Australians and New Zealanders: they are pursuing a similar trade deal with the EU based on CETA but they are not getting 100% tariff- or quota-free access. Canada is only 92% tariff-free in agriculture. The second ‘+’ being offered on top of CETA is services. OK, the third ‘+’ of deeper services and financial services does need adding, but the EU is basically accepting the UK’s ‘red lines’: Mr Barnier said exactly this in our Strasbourg debate in March: no Single Market, no Customs Union, no ECJ. That means a trade deal, and that means CETA++/SuperCanada. 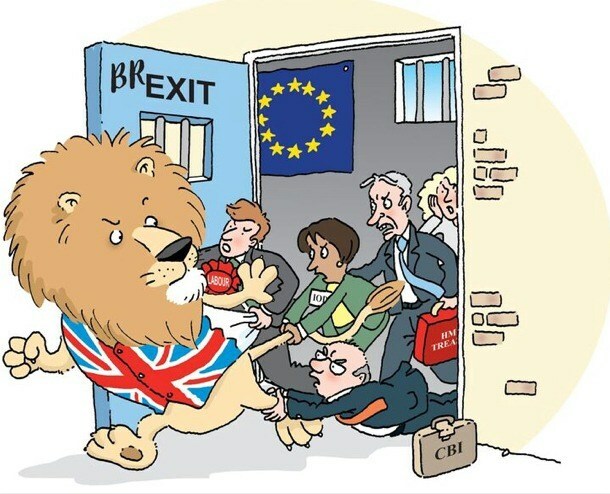 Let’s say to those ‘Stay in a customs union at all costs’ headbangers who think we must slavishly stay in the Customs Union: look, we are now free after 45 years’ experience of the Customs Union to examine exactly what it means to our people and our economy, and we have this amazing opportunity to leave it well behind. Tell them that a SuperCanada deal will offer us the best of a customs union – that is a Free Trade area (100% no tariffs/quotas) with the EU – but without its downsides: we can do our own global trade deals and set our own tariffs, we will not be a de facto ‘rule-taker’, and can cut the cost of tariffs (for tariffs read taxes). It is stunning that 90% of predicted growth in the world in the next ten to fifteen years will come from outside the EU, whilst the EU’s share of UK exports is due to fall from the two thirds when we joined the EEC to less than a third (30%) by 2050. And why do so many think the Customs Union is such a benign thing? The Customs Union means nearly 20,000 taxes (19,753 is the Most Favoured Nation base) that hurt the poor within the Customs Union from protectionist pricing; and hurt the poor in developing countries outside that are supplying the products. Many of these taxes are substantial: 104% on granulated sugar, 60% on Vietnamese shoes, 50% on New Zealand lamb, 12% on both women’s dresses and men’s T-shirts, 20% on orange juice and on bananas (which they produce in Spain, but which we don’t in the UK, so could scrap the EU tariff). Labour’s support for this is totally hypocritical and shamelessly capitalist – hardly consistent with Mr Corbyn’s core Marxist beliefs. This is actually ‘Corn Laws II’ – with the Left supporting the capitalist producers, not the poor consumers. There is still even an EU tariff on bread (wheat/cereals) today of 30%. Several items common in foodbanks – cereals, squash and sugar, for example – have high tariffs. If we can expose Labour hypocrisy through a campaign, the backlash may well put their selfish and illogical position under real pressure, especially in the many Labour constituencies that backed Brexit. Many of these wrecking amendments to the Brexit legislation are more political in effect than legally enforceable in any case. For example, demanding a report looking at attempts to stay in a Customs Union is not a commitment to stay in a Customs Union. So, go to it! Finally, we hear too little of how much the EU needs a deal with us. On leaving, the UK will become the largest single market for the EU27 – bigger than Japan, the USA and China. There are encouraging signs that EU partners are beginning to panic about the prospect of no deal. 1.5 million German jobs depend on the UK market, and nearly a quarter of all EU trade. Recently, the boss of BMW, Ian Robertson, called for a Free Trade Agreement to offer ‘seamless trade’, mindful of £2.4 billion of car sales to UK a year. Trade deals are not charitable. They are about protecting and advancing national and business interests. The UK is the fifth largest economy in the world and second largest world importer after the USA. Our market is bigger than the Indian, Russian and French markets. Our goods deficit is £75 billion a year, equivalent alone to the entire economy of Bulgaria or Uruguay. Add to that access to the largest financial centre in the world – London – where the claimed flood of lost City jobs has turned out to be a mere trickle, and Goldman Sachs required to apologise for doom-mongering. So, fellow Brexiteers, let’s be confident, positive and even more determined. We are genuinely getting there. Even George Osborne admits Brexit will happen. Don’t feed extremist Remoaners by conceding any sense of weakness or concern. We’re going to deliver Brexit, and we’re going to make a remarkable success out of it. So let’s back our Government and our Prime Minister – and get the job done.